Kirkland Minoxidil vs Rogaine: Which one To Buy? Minoxidil is a hair growth product that was discovered by one doctor attempting to treat his patient’s hypertension. In 1971, a dermatologist noticed that his patient began experiencing better hair growth after her cardiologists introduced Minoxidil as a last-ditch effort to lower her blood pressure. It wasn’t until the eighties, however, that it was licensed for use as a hair growth product. Since then, pharmaceutical companies have taken Minoxidil’s hair-restoration benefits and applied them to creams and liquids. Unlike a lot of meds, we can buy them over the counter, which means we don’t need to run to a doctor for a prescription. However, as different brands have seized on the opportunity to use Minoxidil as a hair-loss treatment, you might be left wondering which one is better to use. The two brands you can choose between are Kirkland and Rogaine. Both contain the same hair-growth by-products, so there is no clinical difference regarding efficacy. However, there are differences in the underlying ingredients and price, which may influence your decision if you purchase one. Officially, Minoxidil is a blood pressure medication. However, it’s rarely used for such purposes today and is more commonly applied as a hair-loss treatment. If hair follicles have shrunk, they grow larger. Blood flow to the hair follicles increases. It increases the rate at which hair follicles move between growth phases, encouraging hair to grow faster. Each follicle’s growth phase also lasts longer, making them more efficient. Scientists aren’t sure how Minoxidil achieves all of this. However, to avoid the systemic side-effects that come with taking the drug orally, they formed topical solutions. As such, the product only focuses on your hair’s follicles rather than dilating blood vessels everywhere. Minoxidil is only appropriate for hereditary hair loss. If you suffer from a condition such as psoriasis or alopecia areata, you should ask a medical professional for advice before applying it to your scalp. Doing so is necessary, as the solution’s ingredients may interact with other drugs you’re taking. Also, if you have any open sores, it will aggravate them. To understand how Minoxidil treats hereditary/male-pattern hair loss, it’s necessary to understand the biology behind this condition. First of all, it’s a genetic condition. It doesn’t just affect men, and the factor that appears to increase hair loss is the body’s production of a particular type of testosterone. In those who suffer from male pattern baldness, their body is more likely to respond to the testosterone that converts into dihydrotestosterone; aka DHT. DHT is a stronger form of testosterone, and it has more specific functions than the original hormone. Your hair follicles spend more time in the Telogen stage of growth, which is where the follicle remains dormant. They also spend less time in the Catagen growth phase, which is where they renew themselves. Similarly, they spend less time in the Anagen growth phase, which is the point where hair grows. So how does Minoxidil benefit those with male-pattern baldness? As we’ve already mentioned, it allows your hair follicles to move through the growth phases in a similar way to those who don’t have male-pattern baldness. The main difference is that those who use Minoxidil appear to spend less time in the Telogen growth phase. As a result, their hair follicles are more active, so hair grows thicker and longer. There are plenty of studies to back up the idea that Minoxidil encourages hair growth. One study conducted on women suffering from androgenic alopecia split the participants into two groups: those who received Minoxidil and those who took a placebo. While both groups saw more hair growth, the Minoxidil group experience twice as much. In addition to supporting the idea that Minoxidil tackles male-pattern baldness, it also suggests that alleviating the stress associated with hair loss has positive benefits too. Another study focused on male-pattern baldness in men, taking a similar approach by splitting the participants into those who received Minoxidil, those who used a placebo, and those who received no treatment at all. While all three groups saw progress, the one that used Minoxidil saw a 30% increase in hair growth. The study’s coordinators then contacted that group six months after they stopped the treatment and they reported their hair growth had stopped. This suggests that Minoxidil is effective and those who use it need to do so consistently to see the benefits. Kirkland minoxidil vs Rogaine: Which one is best? Both Kirkland and Rogaine Minoxidil contain the same key ingredient with the same dose: Minoxidil 5%. Therefore, there is no clinical difference in their efficacy. We chose to go with Minoxidil 5% because studies have shown that it is far superior to 2%. Kirkland is the more cost-friendly option. The differences between the two lie in the other ingredients. If you’re trying to choose between the two, knowing more about them and how they could affect you may help you decide which one to buy. First, Kirkland Minoxidil contains propylene glycol. As a substance that’s used in antifreeze, it causes panic amongst those who like to take a risk-averse approach to treating hair loss. It’s also used in thousands of other cosmetic products and medications for one simple reason: it speeds up how quickly your body absorbs medications. One study reveals that the presence of propylene glycol makes your scalp absorb Minoxidil faster. Theoretically, this could also lead to quicker results. However, it’s also worth noting that Kirkland’s solution contains Isobutane. Isobutane is a form of propane, which makes it highly flammable. Yet, Isobutane is used routinely by cosmetic companies producing hair care products. Finally, at present, Kirkland does not create a product that’s suitable for women. Rogaine Minoxidil also contains propylene glycol. At the same time, it includes stearyl alcohol and SD alcohol. The same study that highlighted the presence of propylene glycol for faster medication absorption suggests that other forms of ethanol have the same effect. As such, we could assume that Rogaine works its way into the scalp faster, encouraging your hair follicles to widen, exit the Telogen and enter the Anagen phase of growth quicker. Unlike Kirkland, it does have an alternative product for women. Aside from Rogaine containing more absorption-enhancing products, there are few differences. While Kirkland is cheaper, Rogaine has been on the market for longer and allow your follicle to enter the Anagen phase quicker. In the medical world, the longer a product has existed without producing side effects; the safer it’s assumed to be. This is why my recommendation would be to go with Rogaine. It’s also worth mentioning that according to a study, using a Dermaroller with Minoxidil can accelerate hair growth by more than 50%. There are a few other products that you could use, I listed them all in my article where I talk about the regimen I used to stop my hair loss. Go check it out, it’s worth reading. Is there a difference between liquid and foam? Both Kirkland and Rogaine produce Minoxidil in liquid and foam form. While using a liquid makes it easier to massage the product into the scalp, using a foam means you have more control over where the product goes. As such, a foam is less likely to drip into your eyes and cause irritation. Rogaine features more ethanol-based substances that increase the rate of absorption and growth. Overall, if you’re a woman, Rogaine’s products are your only option. Otherwise, you may find your decision rests on how much you’re willing to pay and whether you feel Rogaine’s better absorption feature is essential. My recommendation would be to go with Rogaine foam. Why foam instead of liquid? because it doesn’t create a mess when you apply it to your scalp. I have also covered more on the foam vs. liquid discussion when it comes to Rogaine here. Should you expect any side-effects with Minoxidil? 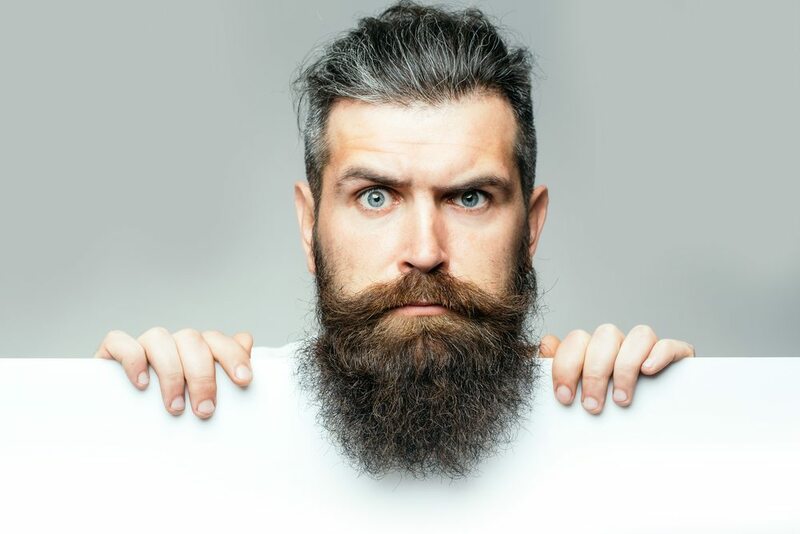 While such side effects are rare, if you do experience them it’s important to cease using Minoxidil and approach your doctor for further advice. Next article Minoxidil 5% vs. 10%: Which one works best?